Hello everyone! 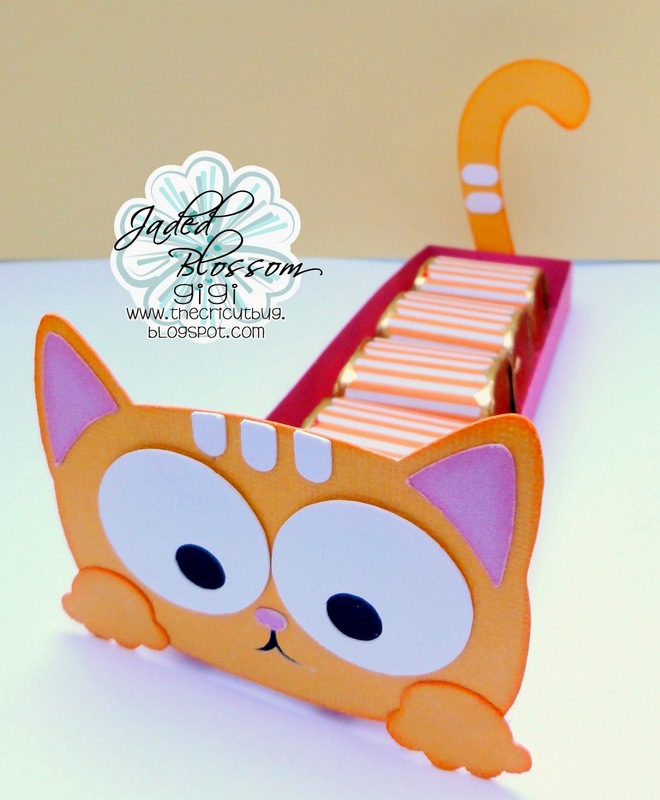 This is GiGi from The Cricut Bug and I have a project to share using the new Candy Caddy Die. I LOVE this thing!!! 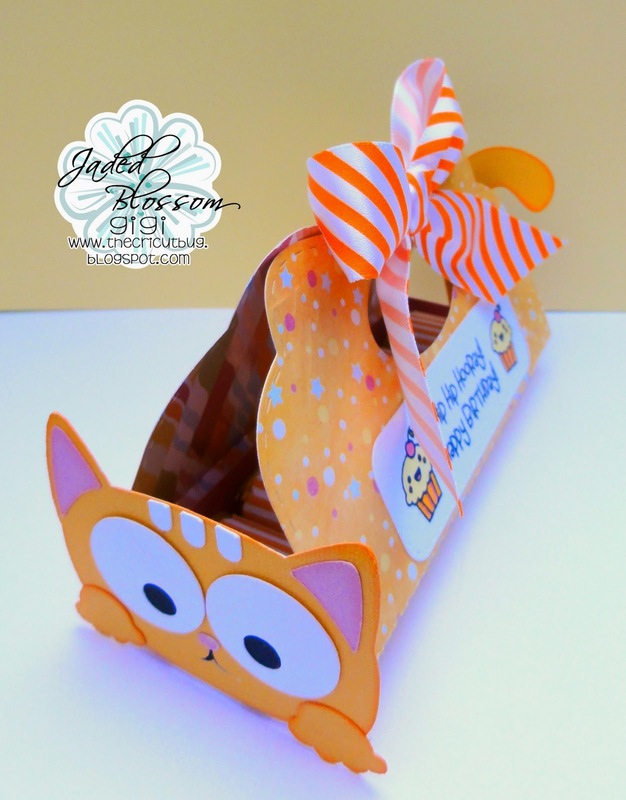 It makes is so easy to create the cutest treat boxes! This die did sell out immediately, but don't fret! It will be back in stock around July 11th! We've seen all kinds of project with the Candy Caddy Die being used with a side view, so today I wanted to share what a fun project it turns out to be when you use it the long way. I cut the kitty head and tail from the SVG Cutting File Peeking Cat Sign Board. I only cut the head and tail and then added them to the ends of the candy tray using pop dots. 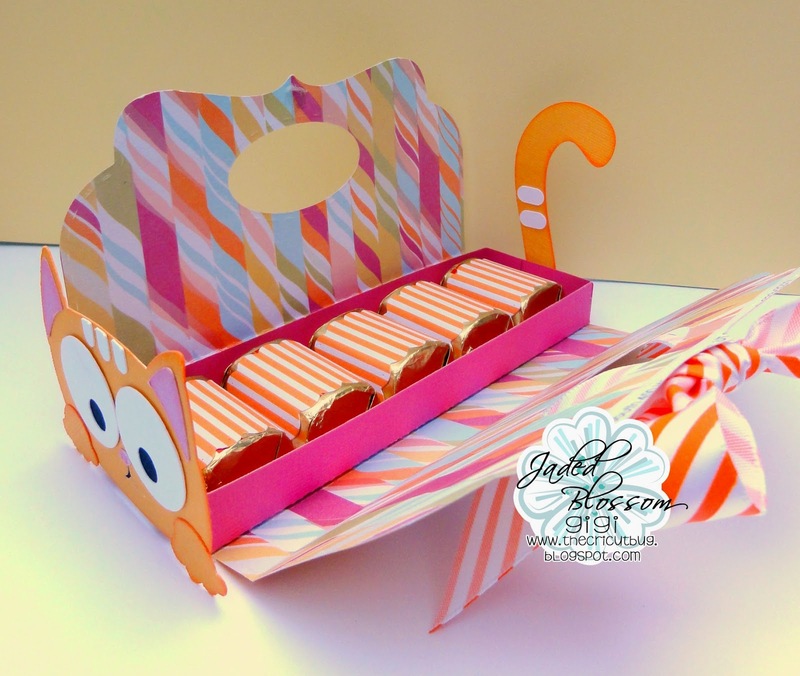 I used the Candy Wrap Dies to cut out the decorative paper covering the candies and added them to the tray. 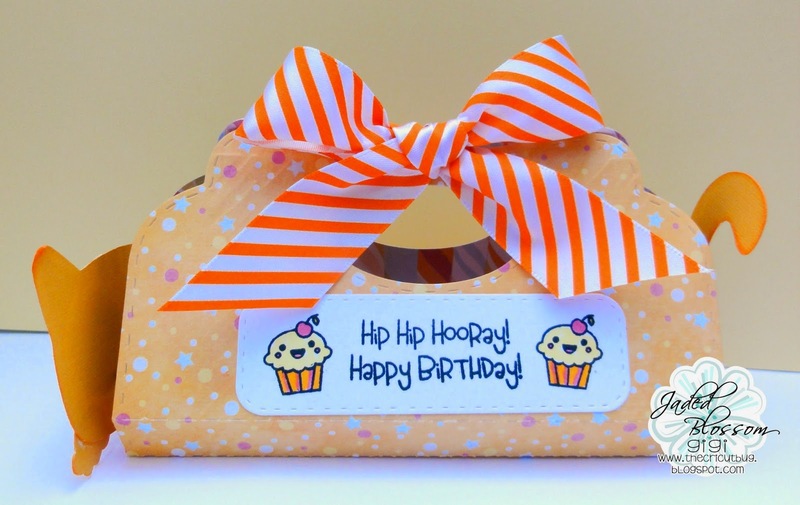 I cut the outside wrapper and added the sentiment banner cut using the Candy Wrap Dies and stamped the sentiment from the Go Wild stamp set. I also stamped the cupcakes to the sides using the Kawaii Candies stamp set. To finish, I added a bow to match the candies. I hope you liked seeing my project today and thanks for visiting! Don't forget to enter the Customer Challenge at Jaded Blossom! fantastic, GiGi! I really need to look outside the box when using this wonderful die. You gals are coming up with the most amazing projects. Love this one!